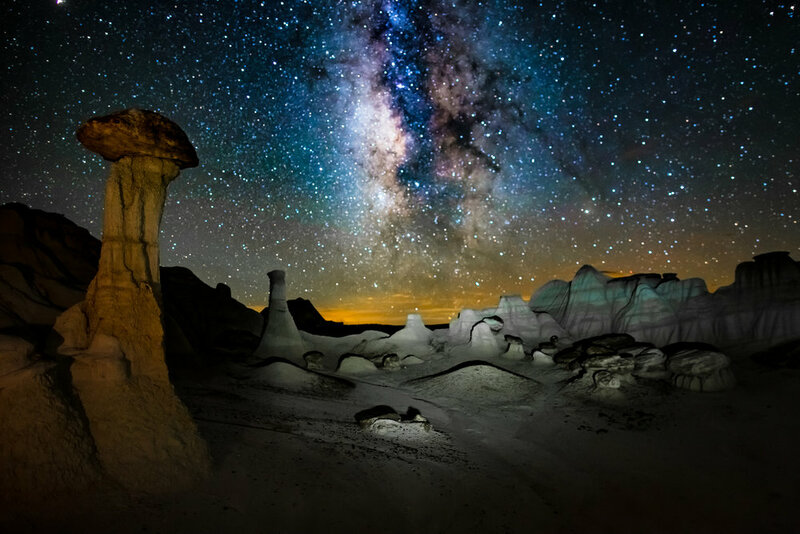 At this time of the year, many nightscapers pack away their cameras and say that the Milky Way season is over. They couldn’t be more wrong! The core season might be over, but the winter Milky Way is visible all night and makes an excellent photographic target. 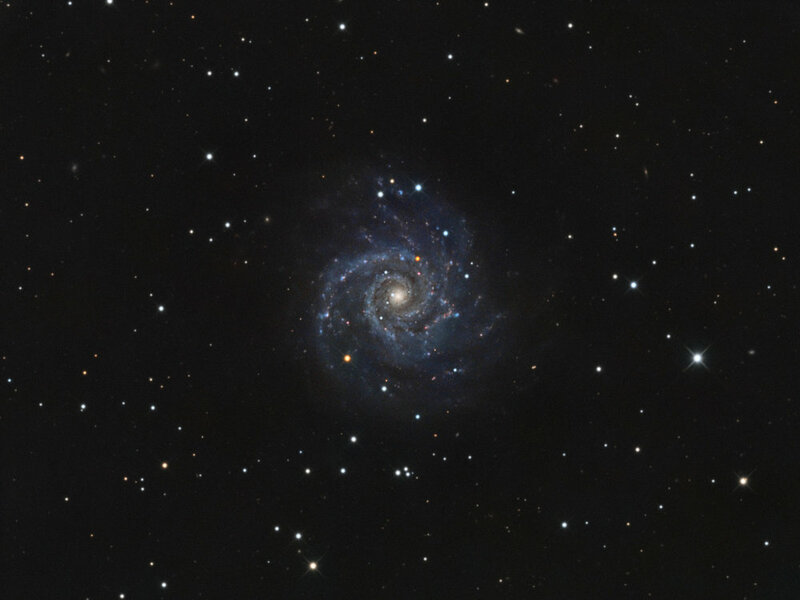 With its abundance in hydrogen emission nebulas, the "bad side" of the Milky Way is actually more colorful than its brighter summer counterpart, especially when captured with an astro-modified camera. Orion is a real gem: The sword is dominated by the famous Orion Nebula and the nearby Running Man Nebula. Both are glowing in red Hydrogen and blue Oxygen light. Orion’s belt harbors the Horsehead Nebula, a dark dust cloud that is silhouetted against another deep red nebulosity (IC 434) and right next to it, the bright Flame Nebula shares the same field of view. This whole complex is surrounded by the elusive Barnard’s Loop an interstellar gas cloud that is ionized by the stars inside the Orion Nebula. Another prominent part of the Orion’s nebulosity, is a ring around Lambda Orionis (Meissa). It measures about 12 degrees across and probably is the remains of a supernova explosion, now ionized by the ultraviolet radiation from Meissa itself and some of the surrounding hot stars. Those blessed with dark skies might even be able to record the very elusive Witch Head Nebula, an extremely faint reflection nebula, believed to be an ancient supernova remnant or gas cloud, illuminated by the nearby supergiant star Rigel. 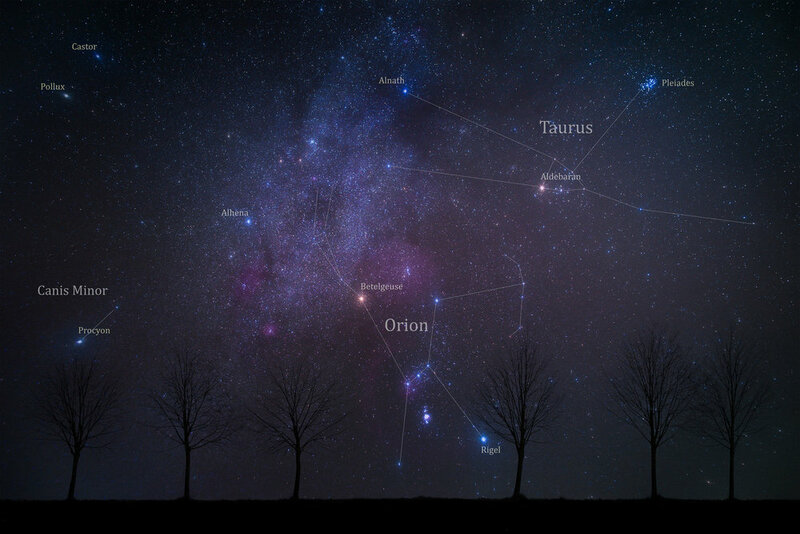 Of course there is not only Orion. Other prominent Hydrogen emission Nebulas are the Rosette Nebula in the constellation Monoceros, the Seagull Nebula near Canis Major, the California Nebula in Perseus, Cassiopeia’s Heart and Soul Nebulas or The Elephant Trunk Nebula in Cepheus. The whole winter Milky Way is dotted with open star clusters. 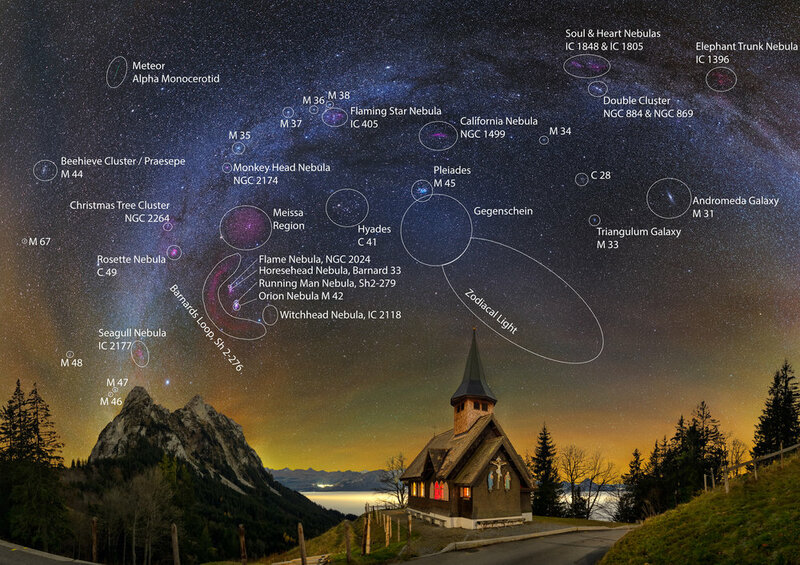 Some are naked eye objects like the Pleiades, the Hyades, the Beehive Cluster or the Double Cluster and many of them are part of the famous Messier Catalogue (e.g. M34 – M38, M44 –M48, M67). Some of these open clusters are surrounded by gas clouds and the ionizing radiation from their stars powers many of the emission nebulas mentioned above. Furthermore, autumn and winter is galaxy time. Our galactic neighbor, the Andromeda Galaxy, is the most prominent example, but there are many more, like the Triangulum Galaxy (M33), pictured here to the east of Andromeda. Fed up with deep sky objects? Then you might like this: Under dark skies you might be able to observe the gegenschein. The backscatter of sunlight by interplanetary dust causes this optical phenomenon. 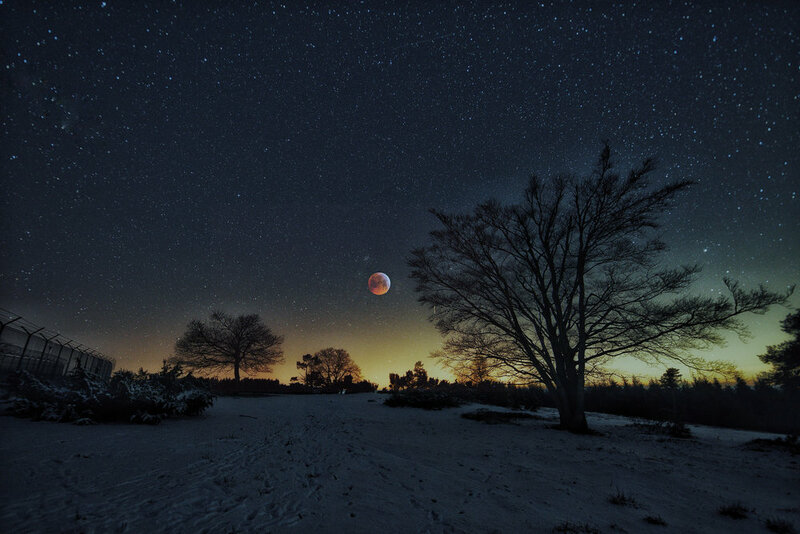 It forms a slightly more luminous, oval glow directly opposite the Sun within the band of the luminous zodiacal light. The intensity of the gegenschein is relatively enhanced, because each dust particle is seen in full phase. Even closer to home, you might be able to see meteors (from the Leonids or the Alpha Monocerotids in November or the famous Geminids in December) burning up in earth’s atmosphere and of course you might also be able to capture some colorful airglow. 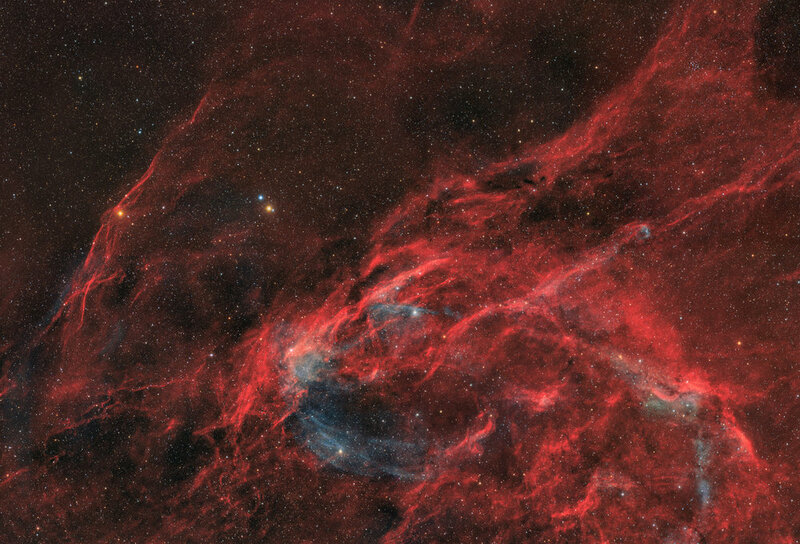 Filter : Color：none, Ha：Optolong 7nm Ha 2"
This region of Cygnus west of Deneb is anchored by the bright and colorful stars 30 and 31 Cygni. There are many types of interesting and overlapping nebulae in this region including many HII regions catalogued by Dickel, Wendker, and Bieritz, as well as more recent discoveries such as the giant supernova remnant known as G 82.2+5.3 and the much smaller possible planetary nebula PN PM 1-320. This was my most challenging photo yet with more than 46 hours of integration, and the time-consuming process of creating a seamless 8 panel mosaic. West Veil Nebula or ngc6960 is a rest of supernova still expanding, originated by a star exploded thousands of years ago. Where the h-Alpha is, and the o3 are composed of a total of 13 poses for 20 minutes each. 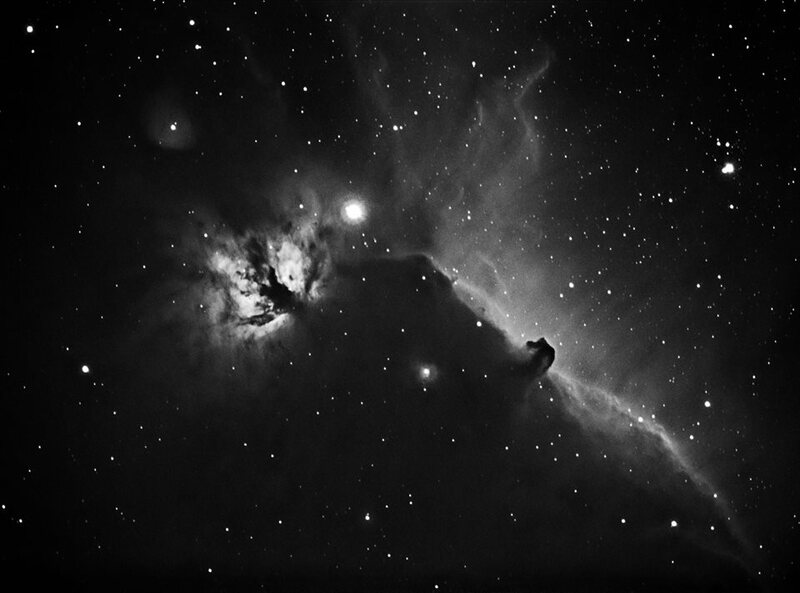 The Horsehead and Flame Nebulae region in the constellation Orion. The horse head shape is silhouetted against a backdrop of illuminated hydrogen gas. This image was taken from Samphran, Thailand, using a 300mm F3.0 telescope, and is the result of approximately 39 hours taken through L, R, G, B, Hydrogen-alpha and Sulfur 2 filters. Imaged and processed in Samphran, Thailand by the SC Observatory team: Mike Selby, Stefan Schmidt and Andy Chatman. Saturn was near Lagoon Nebula at the night. 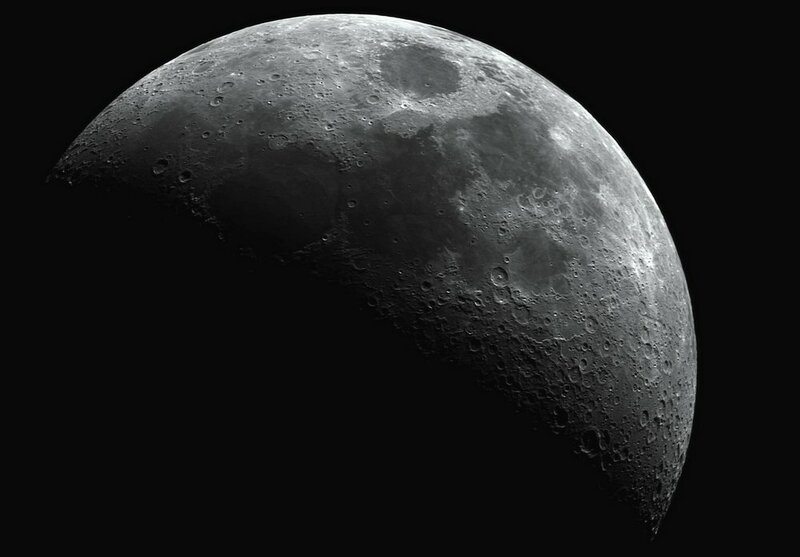 Taken with a 80Ed scope, AVX mount, zwo 178 mono. 700 frames best 80 stacked. The Crab Nebula or Messier 1 is a supernova remnant in the constellation of Taurus. 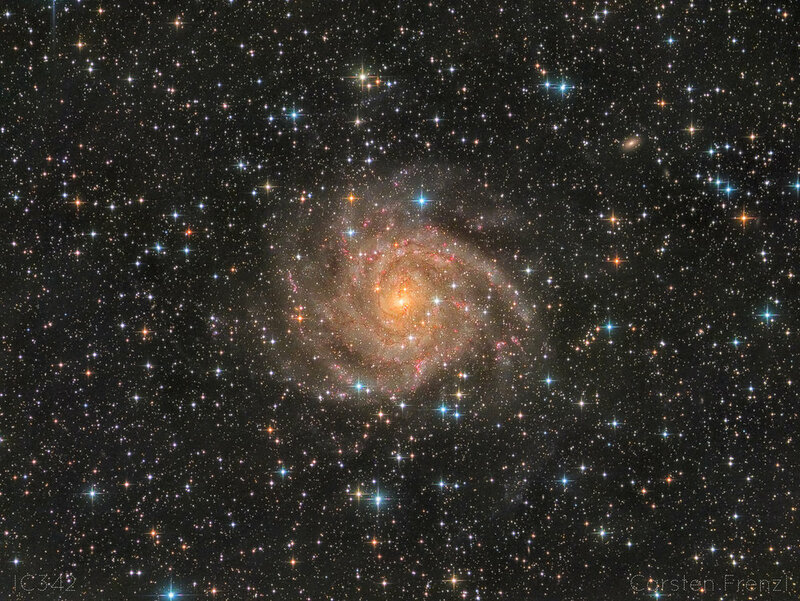 The supernova was recorded by Chinese astronomers in 1054. Esprit150ED, ASI1600mm, AZEQ-6. 45x120s RGB 14x600s Ha. Processed in Pixinsight and Photoshop. 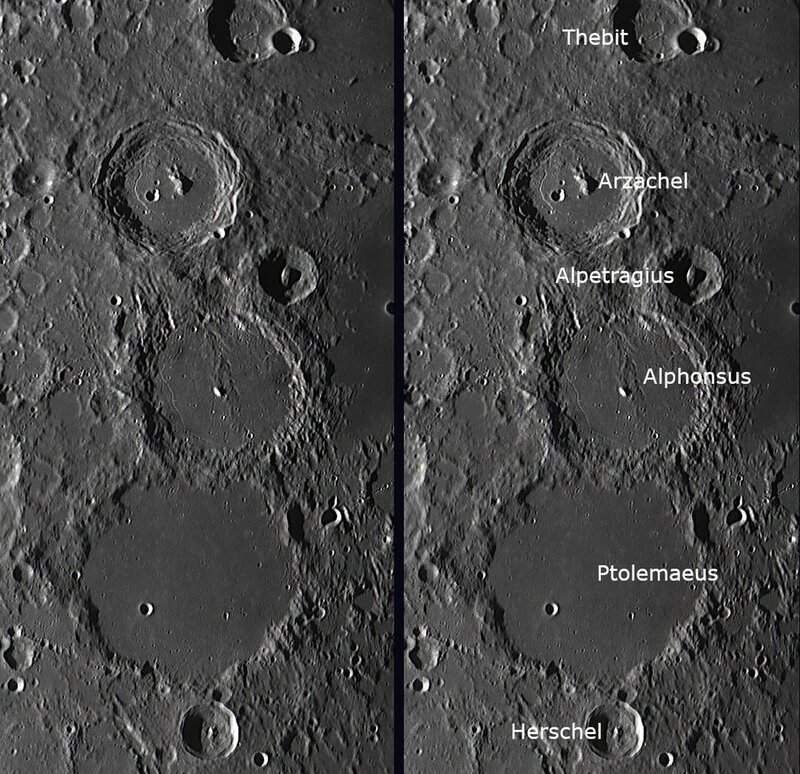 A 3 pane mosaic of this well known lunar crater group. Each pane processed with Registax 6 & G.I.M.P. Then stitched using Microsoft Image Composite Editor. Another page from my observations log book. Best viewed in expanded mode.